We are in the part of the legislative session where a number of “innovative” ideas take shape in legislation, which might get some media hits, but which won’t otherwise make it past the policy cutoff in a few weeks. So, don’t be distracted with too many headlines about this pet bill or that one right now. The real work of the 2019 legislative session is happening with much less fanfare – in the slog of public hearings and executive sessions – some of which we feature here for you. Gov. 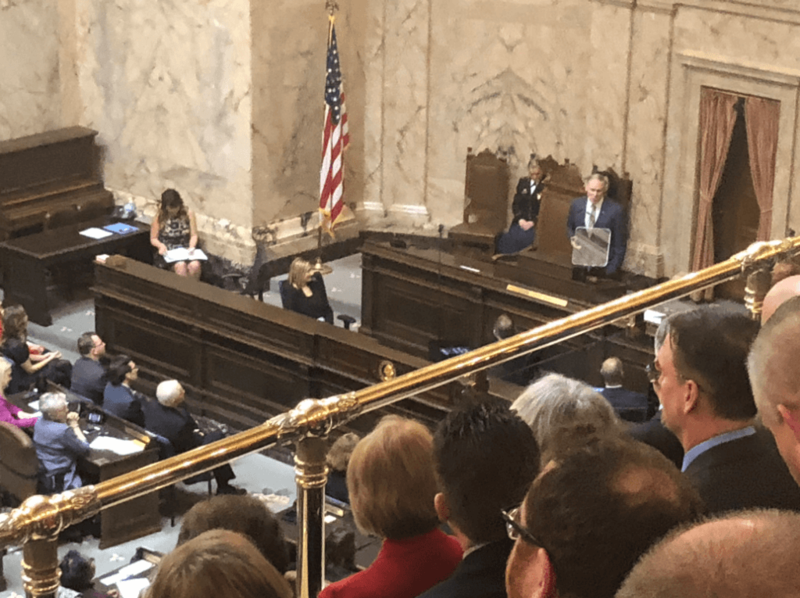 Jay Inslee listed his top priorities for 2019 during his State of the State Address last week. His top four were foreshadowed in the weeks leading up to the election, when he announced plans to address climate change, behavioral health, saving the orcas, and education. Sen. Reuven Carlyle chairs the Senate Environment, Energy & Technology Committee and serves on the Ways & Means and Rules committees. We caught him at the tail-end of a day full of environmental policy—first at a packed committee meeting, then in a meeting with Gov. Jay Inslee and former California Gov. Jerry Brown—for this Q&A. Earlier this month, our sister site hosted the 2019 Washington State of Reform Health Policy Conference. 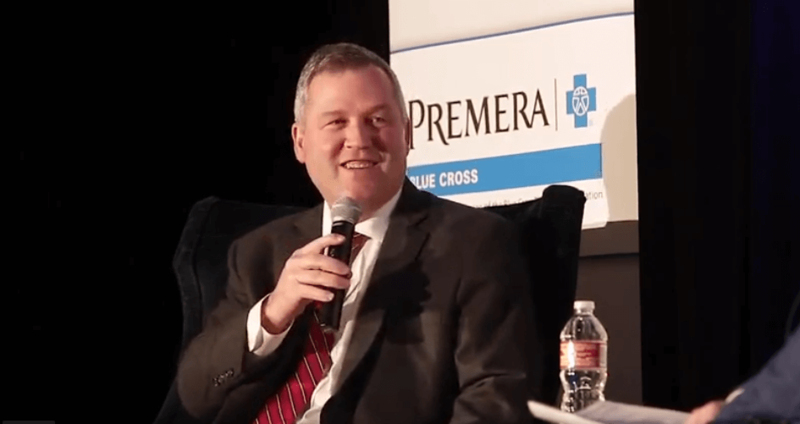 Our lunch keynote featured five 10-minute interviews with some of the region’s most influential market executives and health policy leaders, including House Republican Leader J.T. Wilcox. 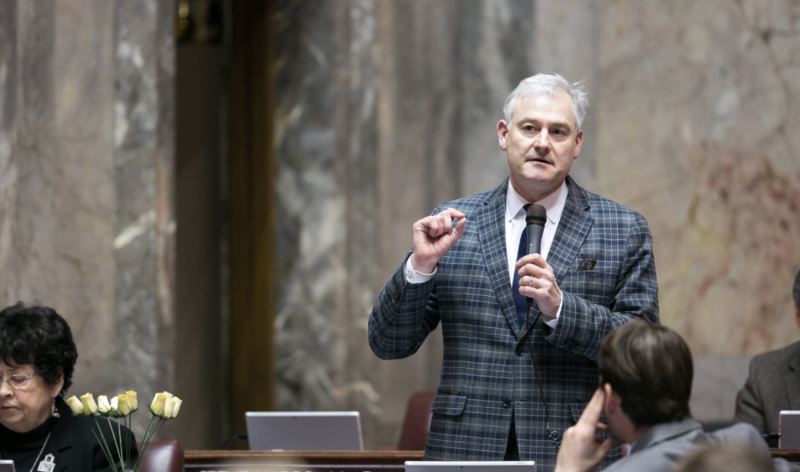 In this interview, Representative Wilcox discusses leadership in the House, Washington’s tax structure, preparing for an economic slowdown, as well as his outlook for the 2019 legislative session where he predicts some “kumbaya moments” on issues like mental health and elements of school funding, but predicts fights over taxes. 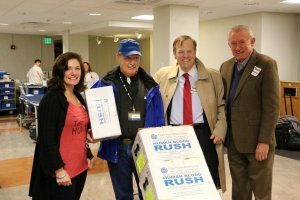 It was truly an honor to have him with us! Last week, the House Democratic and Republican caucuses finalized their leadership rosters. A few leadership positions in this session’s majority caucus will change hands, with Rep. Monica Stonier serving as Majority Floor Leader and Reps. Christine Kilduff, Kristine Reeves, Bill Ramos, and Jared Mead all assuming leadership positions. Just three of the 11 Republican leadership positions will remain the same—Reps. Paul Harris, Gina Mosbrucker, Jacquelin Maycumber, Morgan Irwin, Dan Griffey, Bill Jenkin, Kelly Chambers, and Jenny Graham will now serve in leadership positions. Rep. Drew Stokesbary, who was listed as Floor Leader in the caucus’s leadership announcement in November, “stepped down as Floor Leader on Thursday to focus on his new role of ranking Republican on the House Appropriations Committee,” according to a tweet from the caucus. Last week, the appointment of Quincy School Board member Rep. Alex Ybarra added another new face to the legislature (Wire reporter Sara Gentzler compiled a full list of newly elected legislators here). Ybarra filled the seat of Rep. Matt Manweller, who announced his resignation in September. A hearing in the Senate Law & Justice Committee on four firearms-related bills drew a crowd to the Capitol Campus yesterday. 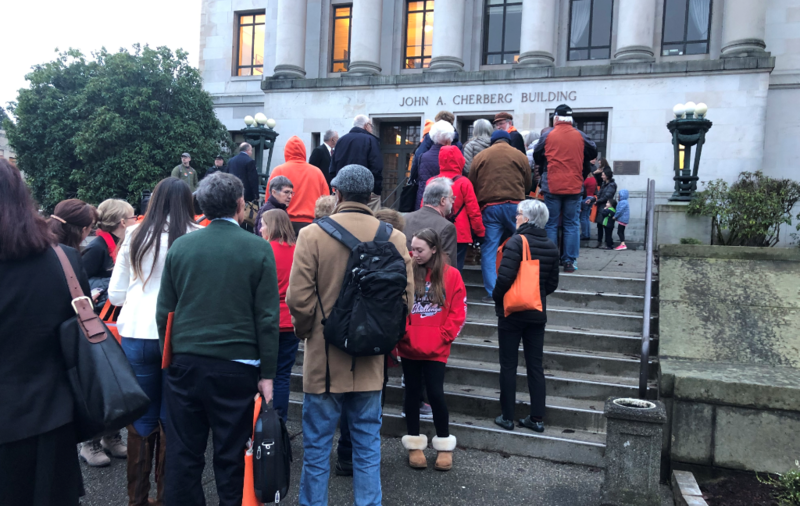 A line that stretched well out the door formed two hours before the meeting’s start time, and Sen. Jamie Pedersen—who chairs the committee—said over 1,300 people signed up to testify. The bills at-issue would ban “ghost guns,” ban magazines that hold over 10 rounds of ammunition, require law enforcement to take guns when an officer thinks they may have been used in the commission of a domestic violence offense, and set training requirements to get a concealed pistol license. Public testimony both in favor of and in opposition to the bills was emotionally charged (you can watch the video on TVW here). Other notable gun bills introduced so far include a bill from Sen. Phil Fortunato that would require legislators who want to introduce gun legislation to first receive firearms training and pass a knowledge test for calibers and gauges of guns. 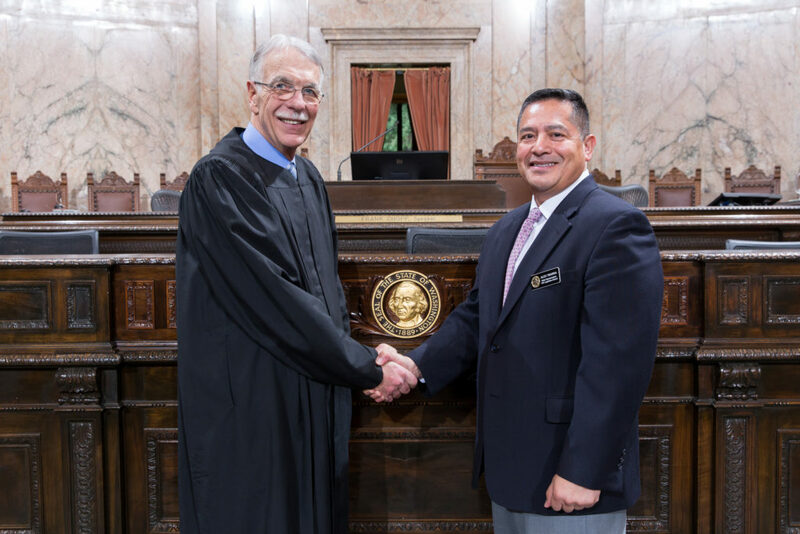 The House Health & Wellness Committee last week heard public testimony on the Long-Term Care Trust Act, which would set up a public long-term care benefit in Washington State. 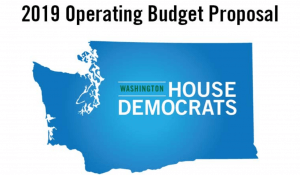 If the bipartisan bill is signed into law, Washington workers would pay 0.58 percent of their wages into the trust program and eventually would be able to claim benefits, should they have difficulty completing the tasks of daily life. Long-term care—services 70 percent of people over age 65 will need at some point, according to this Milliman study—is not covered by Medicare unless the care is medically oriented; and the private insurance market for that sort of coverage is sparse and expensive. So, people frequently pay out of pocket until “they impoverish themselves to qualify for Medicaid.” Rep. Laurie Jinkins, who sponsored the bill that would change that system, is feeling good about the bill, which received all positive testimony during its public hearing, and told the Wire she expects it to pass out of committee this week. 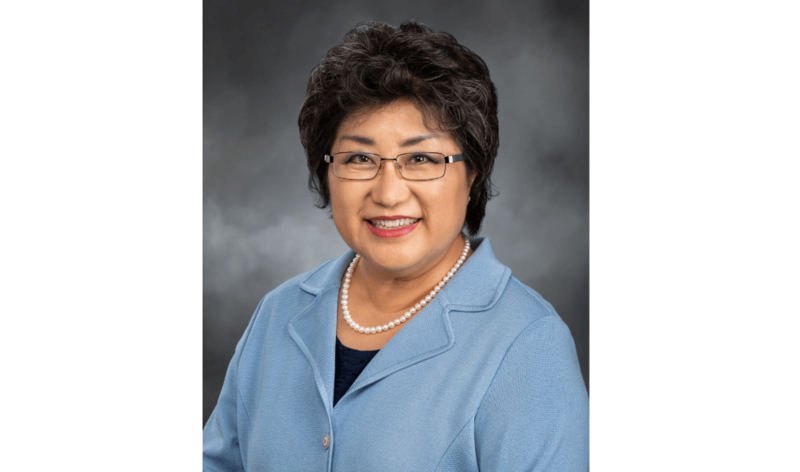 Rep. Cindy Ryu is the only state representative who sits on both the House Appropriations Committee and Housing, Community Development & Veterans Committee, which she chairs. 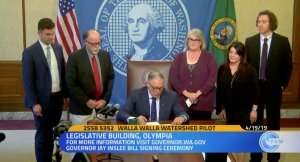 So, when Microsoft announced asks for state legislators along with its $500 million pledge to advance affordable-housing initiatives, she came to the table with a unique perspective.